The federal government spends more than $500 billion a year in contracts, making it the largest purchaser of goods and services in the world. Small businesses throughout the country can and should take advantage of contracting opportunities, which can be a crucial source of revenue to help them grow, innovate and create jobs. President Obama has made small business contracting a top priority. He created an inter-agency task force which developed recommendations to increase small business contracting. The president also signed the Small Business Jobs Act, which levels the playing field and increases small businesses’ access to contracting opportunities. These initiatives have made a real difference. The number of contracts going to small businesses has steadily risen in the last two years. Last year, almost 23 percent of federal contracting dollars went to small businesses. 1. Get a Counselor. You can find counselors in 68 SBA district offices, 885 Small Business Development Centers, 110 Women’s Business Centers, 350 SCORE chapters, and 300 Procurement Technical Assistance Centers (PTACs) across the country. These professionals are standing by to help you get in the contracting game, and most of their services are free. Go to www.SBA.gov/direct, enter some basic information about your business, and you’ll be presented with a list of nearby resources. 2. Get Certified. A number of certification programs can increase your chances of winning a contract. SBA’s 8(a) program provides counseling, mentoring and access to set-aside and sole-source contracts. Service-disabled veteran-owned businesses and small companies in Historically Underutilized Businesses Zones (HUBZones) are also eligible for set-asides. SBA recently launched the Women’s Federal Contract Program which opens up contracting opportunities for women-owned small businesses in more than 300 industries where they are underrepresented. Find out more at www.SBA.gov. 3. Be Targeted. The most successful contractors have a specific product or service that federal agencies need. Decide what you have to offer and target your efforts at the federal agencies that need it most. 4. Market Your Business. 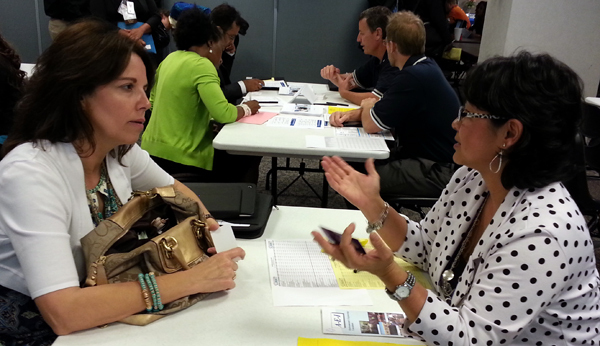 Get your foot in the door by attending matchmaking events with agency contracting officers or by reaching out to agency Offices of Small and Disadvantage Business Utilization (OSDBUs). Visit www.osdbu.gov to find out more. 5. 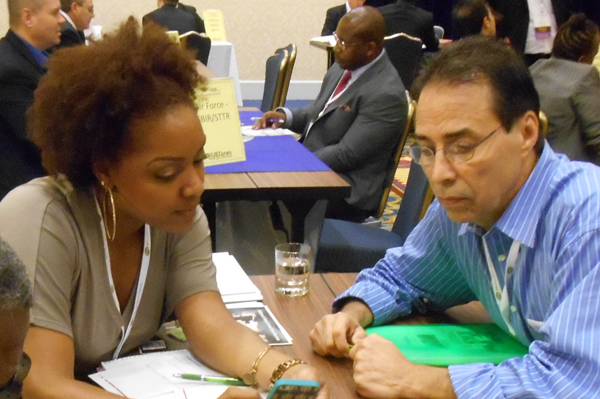 Identify Contracting Opportunities. Don’t just sit and wait for a contract — be proactive. Once you’ve determined the agencies most likely to buy from you, you need to find contracts to bid on. Stay in close contact with the agency’s OSDBU and contracting officers you have met, and visit the Federal Business Opportunities website (www.fbo.gov), which has a list of all contracts available for bid. Also, look for new tools like green.sba.gov, an online portal that houses all of the clean-energy small-business opportunities across the federal government. Small businesses are the engine of job creation and economic growth in this country. The SBA is committed to helping small businesses grow through contracting. Winning a contract is hard work, but small business owners are not in it alone. To take the best advantage of your company's HUBZone certification, you need to take an active role in identifying federal contracting opportunities. For example, if you have federal facilities in your area, develop relationships with their contracting officers so they know about the services and/or products your company provides. To have the best visibility within a specific agency, you need to take the time to participate in match-making events and other outreach activities to introduce your company's services and communicate that there are HUBZone-certified companies able to fulfill specific contracting requirements. This often leads to increased HUBZone set-aside opportunities. Many federal agencies publish annual procurement forecasts on their websites, usually in the fall, which provide a wealth of information as to their near-term contracting needs. Federal Business Opportunities: A database listing more than 30,000 federal contracting opportunities. Also known as FedBizOpps. Grants.gov: This site identifies available federal grants, including those related to the American Recovery and Reinvestment Act. FedConnect: FedConnect is the perfect complement to FedBizOpps and Grants.gov. FedConnect goes beyond the basic features of those systems to provide full lifecycle support including the ability to post opportunities, receive responses, deliver awards, and communicate throughout the pre-award, award, and post-award phases using FedConnect's secure 2-way messaging. SAM (System for Award Management): SAM is the primary system for government contractors to provide their contact information, capabilities, certifications, performance history, and other data required to do business with the federal government. It has replaced the Central Contractor Registry (CCR). Future phases of SAM will add the capabilities of other systems used in federal procurement and awards processes. USA Spending: A comprehensive database of all federal contracts awarded. Federal Procurement Data System - Next Generation: The goal of FPDS-NG is to make procurement information transparent and easy to find for all users, from experienced contracting officers to members of the public. HUBZone Contractor Database: Lists all HUBZone-certified firms; from the Small Business Administration. FedSpending.org: A project of OMB Watch, this database includes full spending data for federal contracts and federal assistance data. SBA Regional & District Offices: These offices help small businesses earn contracts by answering questions and providing support. Office of Small & Disadvantaged Business Utilization (OSDBU) Directors Interagency Council: Most agencies have an OSDBU to ensure that the agencies and their large prime vendors comply with federal laws, regulations, and policies to include small business concerns as sources for goods and services as prime contractors and subcontractors. The OSDBU Council website includes links to the various agency offices. GSA Schedules: Under the GSA Schedules Program, the U.S. General Services Administration (GSA) establishes long-term government-wide contracts with commercial firms. GSA Schedules provide access to more than 11 million commercial supplies, products, and services at volume discount pricing. GSA Schedules are also referred to as Multiple Award Schedules (MAS) and Federal Supply Schedules. Having Trouble Finding HUBZone Opportunities? 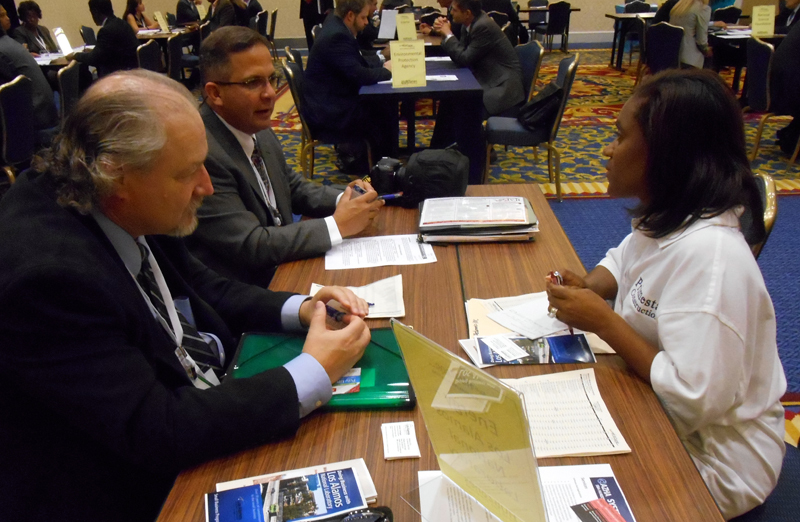 Develop business relationships with your local contracting officers. Educate them about your company’s capabilities and the HUBZone Program. We find that many contracting officers are ignorant about the HUBZone Program and, therefore, avoid HUBZone set-asides. Contact the small business advocacy offices in the Washington headquarters of the agencies you are targeting. It is their job to promote HUBZone and other small businesses for contracts issued by their contacting officers in the field. They can provide valuable information and suggestions to help you have more success with your local contracting officers. Develop business relationships with other HUBZone firms that do the same work as your company. At the sources sought or presolicitation phase of a contract, these companies are your best friends to convince contracting officers to make a solicitation a HUBZone set-aside. Once the set-aside is issued, then they become your friendly competitors and/or potential business partners. We also hope that you would join the HUBZone Council to obtain a number of Membership Benefits and help the Council promote the HUBZone Program.